Van Egmond Tub Plant Potting Substrate is composed of various high quality raw materials and fertilised with both an NPK mixture and an organic fertiliser. Due to this combination, the plant receives the right nutrients, both immediately and for a longer period. The coarse structure of the potting substratel ensures that it stays aerated and stable for a longer period. This makes Van Egmond Tub Plant Potting Substrate ideal for all types of tub, perennial and houseplants. 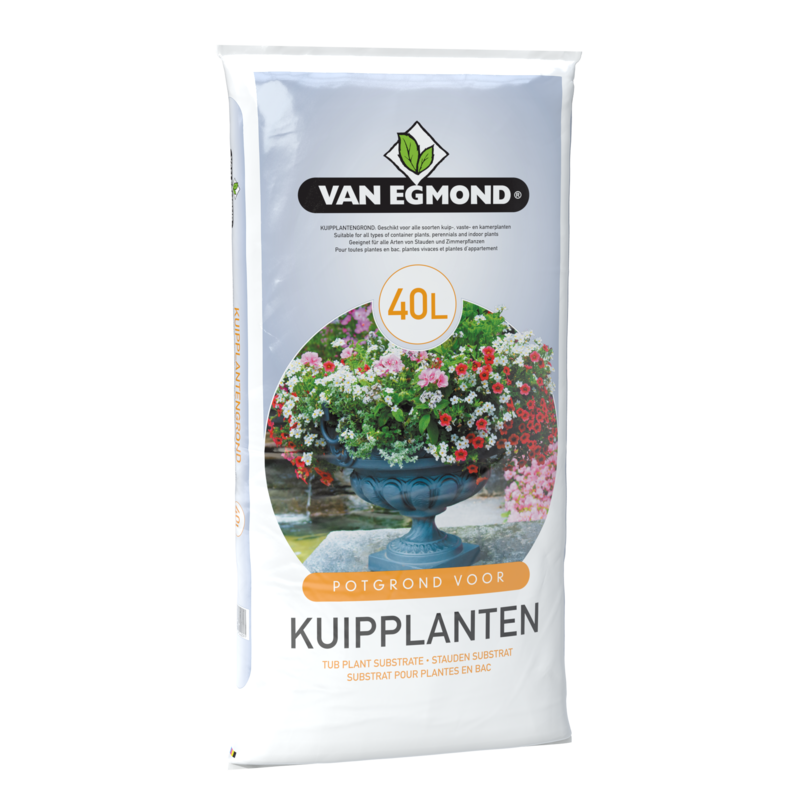 Van Egmond Tub Plant Potting Substrate is available in bags of 40 litres. Order tub plant potting substrate directly through our order form!